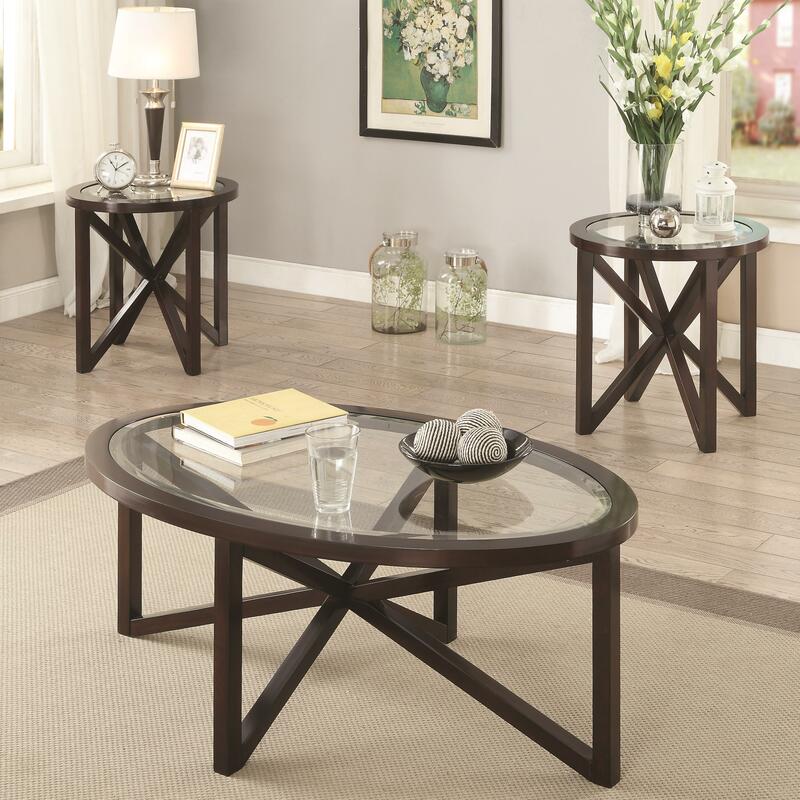 Bring sophisticated transitional style to your living space with this three piece set of accent tables. Consisting of two matching end tables and a coffee table, each piece features a beveled tempered glass top and wood base. The wood base has a stunning asterisk design that brings contemporary edge to the group. A rich Cappuccino finish completes the set with warm tones. The Occasional Table Sets 3 Piece Accent Table Set with Tempered Glass Top by Coaster at Corner Furniture in the Bronx, Yonkers, Mount Vernon, White Plains, Manhattan, NYC, New York area. Product availability may vary. Contact us for the most current availability on this product.